Oh, January! You open new roads before us, lead us forth into familiar and unknown paths. Heavenly bodies shift above us. The scent and chill of winter’s wind call us to rest and read by a fire—to bundle up and venture out in Earth’s frozen season. Cherish what we have while we’re healthy. For everything has a life span. In this spirit, I drove south on I75 to volunteer in Gallery Service for the Detroit Institute of Arts. No backups from crashes. An open road relaxes the human mind and spirit. I walked into an uproarious volunteer room and hugged my Art Buddy, Carol. I recognized a few other folk from previous volunteer shifts. Carol and I soon learned the regular Wednesday morning group is a band of retirees who share a common definition of fun. Art, food, and friendship. Carol and I regretfully declined. We had a luncheon date in Kresge Court to celebrate our postponed Christmas and discuss our November book pick. Thankfully, our shift captain assigned Carol and me to European Art. We walked through quiet galleries for hours, circling past the little chapel and our favorite spiral staircase in the Medieval Gallery. If once, we stepped ten times into the spacious hall where the Young Woman With a Violin looks upward, mouth parted. She listens, bow resting on a shoulder. 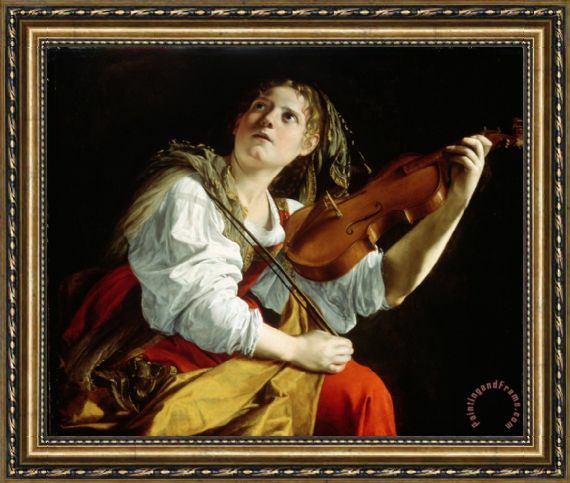 “This painting rekindles my desire to learn the violin,” Carol said. I nodded. It’s as if the Young Woman with the Violin heard Carol and replied with inspiration. We strolled to the opposite side of the gallery to the grisly Judith and Maidservant with the Head of Holofernes. The candlelit drama of this Biblical story is stunning. At the end of our shift, Carol and I met our captain in the spine leading to the beautiful Wisteria Gates. A visitor inquired about a painting by Artemisia. Our captain hailed Bill, one of the Wednesday morning team who walked toward us. “Bill will help you,” our captain said. Carol and I stood in the afterglow of our art lesson, Artemisia’s violin resounding in our souls. What a privilege to follow the song of the open road that leads to the DIA.